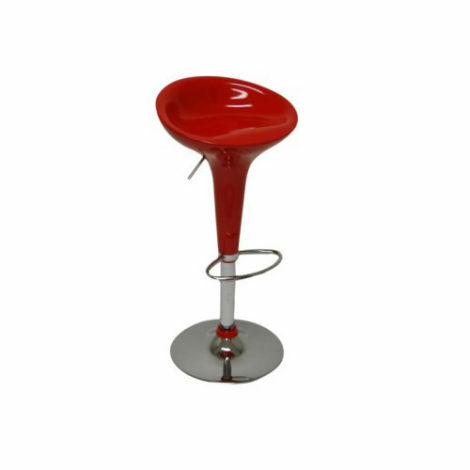 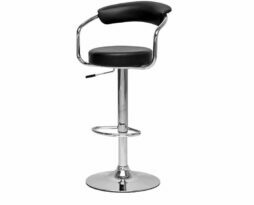 Rent this scoop red bar stool bar height or dining height chair for your next special event. 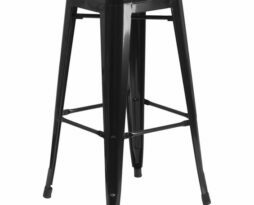 The scoop has a fun and playful look. 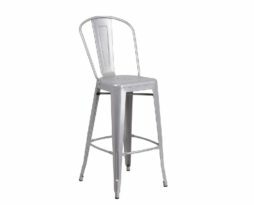 This chair is very common for use in corporate functions, fundraisers, weddings, benefits, galas, product introductions, and for any event where making a modern impact is the intended result.